Part manifesto, part design and part narrative, ‘Urban Myths’ is a research project that seeks to describe the ambiguous nature of the urban environment. 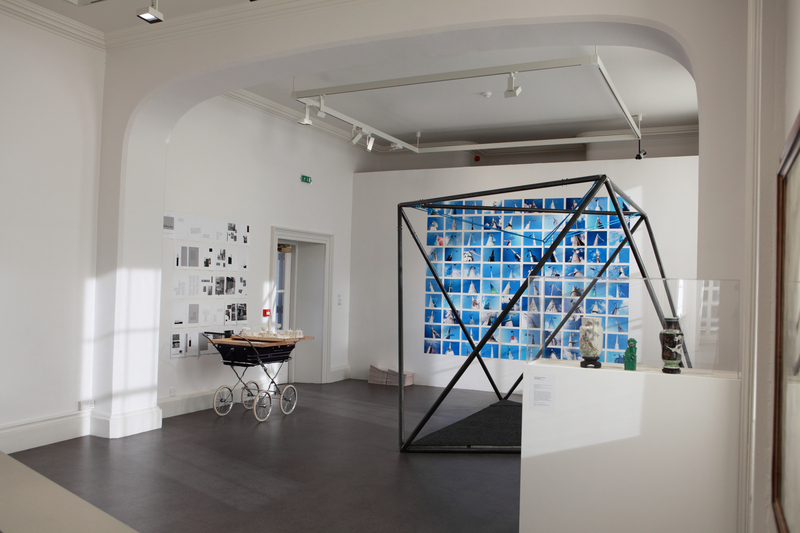 The project is exhibited within The Everyday Experience show at the Irish Museum of Modern Art (IMMA). Discussing architecture and design, not through the conventional confines of architectural drawings and models, the project creates speculative urban stories and architectural conjecture that simultaneously question the traditional canons of tourist products, alongside building typologies. The installation re-imagines north inner city Dublin – presenting a series of pieces that capture specific factual and fictional moments in space and time hidden beneath the gloss, rhetoric and gentrification of urban planning, redevelopment and architecture. Covertly eliciting narratives from users, the streets and the city, this is a new chapter for the ‘city of literature’, telling of affordance and appropriation, watching and waiting, hope and failure – a story more intriguing than any novel or tourist board literature. 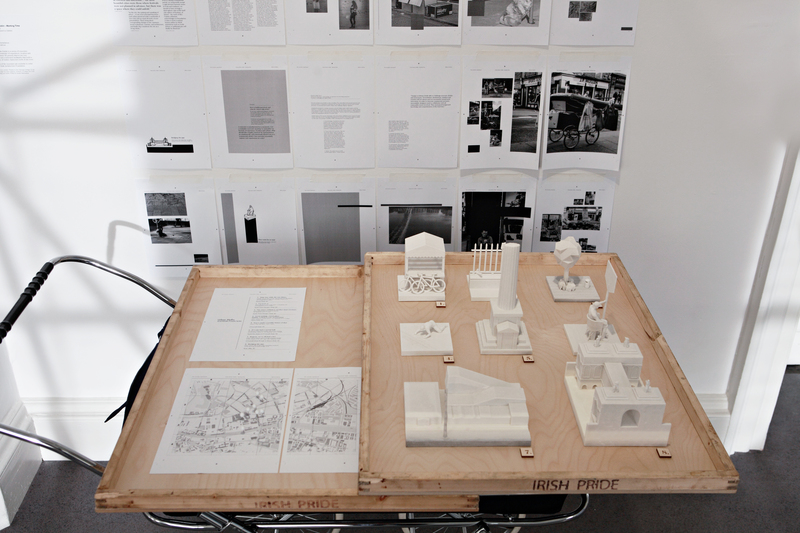 The installation presents a series of souvenirs, which act as prompts within the ongoing research project. Seen as a reminder of experience, location and culture, these objects represent our collective need for mnemonic devices that store our feelings and make our memories permanent. Exploring the role of architectural narrative, as a navigational tool and stage for experience, the authors propose a new tale; a story of incidental monuments, lost buildings and overlooked landmarks that build a rich story of Dublin characters north of the river. The latest in an ongoing series of creative interventions by the authors, the ‘Urban Myths’ project is part of an ongoing conversation with the city.